Bhutan’s young media is currently at crossroads, with many signs pointing to different roads that should be taken. Each signboard has compelling reasons to take a certain road, but other signboards have equally compelling reasons to take their paths. Similarly, at one level the Bhutanese media seems to know what it is doing but at another it is an extremely confused institution. For example, there are media outlets that play a developmental role while others act as watch dogs and there are also those that try to play both. The main source of confusion, however, is not any individual, institution, political party or leader but our stage of transition into a young democracy. This scenario is not uncommon in most new democracies each having its unique set of problems and solutions. 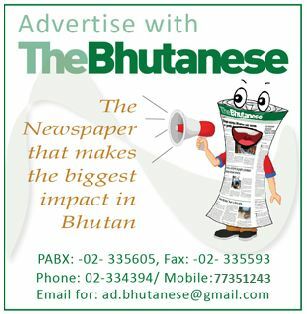 Bhutanese media until recently played mainly a developmental role. The transition into democracy has meant that the media has gradually been given additional freedom and responsibilities to be the watchdog. In short, a media that was comfortable in its cocoon of being told what to do now has to point out flaws and in many cases advise others what to do. There is also startling array of media influences and traditions like American, British, Indian, Singaporean, and Japanese. The best solution here will be to evolve an indigenous media tradition based on ground realities and differing needs, but not alien to the universal journalistic ethics. The transition, however, is not easy especially for most individuals and institutions in the media that have worked under the old system. For example, how can a journalist who quivered before a minister until yesterday be expected to ask tough questions of the same minister today? On the other hand, it is also not easy for the minister to face a new breed of tougher and more critical journalists who are part of the new system. There will be an overwhelming temptation, on the part of those in power or those more comfortable with the old system, to mould the media into something which they are more familiar or comfortable with. In a more evolved democracy all that the media is expected to do is uphold public interest and be a watchdog. However, in a young democracy much more is expected of the media. The media in a young democracy is asked to maintain national unity, national interest, political stability, economic development and more. While these demands are legitimate, they are also used by the government to maintain varying degrees of control over the media. A local example is proposed Advertisement Guidelines whereby media houses have to have content in line with to receive government advertisement. It is not uncommon in many young democracies for the new ruling establishment to misinterpret criticism from the media as attempts to cause political instability or endanger democracy. With the new establishment still not comfortably settled, even innocuous criticism from the media will be interpreted in various ways. These criticisms at times are amplified by insecurities of the new regime, real or imagined, leading to reactions and at times over-reactions. While the Constitution guarantees the freedom of media, subsequent legislation like Defamation Laws, Privacy Laws, and Media laws can be used to strengthen the hand of the government. Also, in most young democracies there is always a tussle to control the state broadcaster which will already be in an unsure state of transition. Overhauls and changes with new policies and new pressures are not uncommon in these countries. A local example would be a tougher-than-usual question-answer session on television with a powerful Parliament functionary leading to the auditing of the entire broadcast company. Another challenge for the media is to maintain a difficult but necessary balance in the middle of tensions between different democratic institutions which is natural in any young democracy. Coming back to the signboards and paths, the Bhutanese media will have to find its very own path and not the one prescribed by those in power.